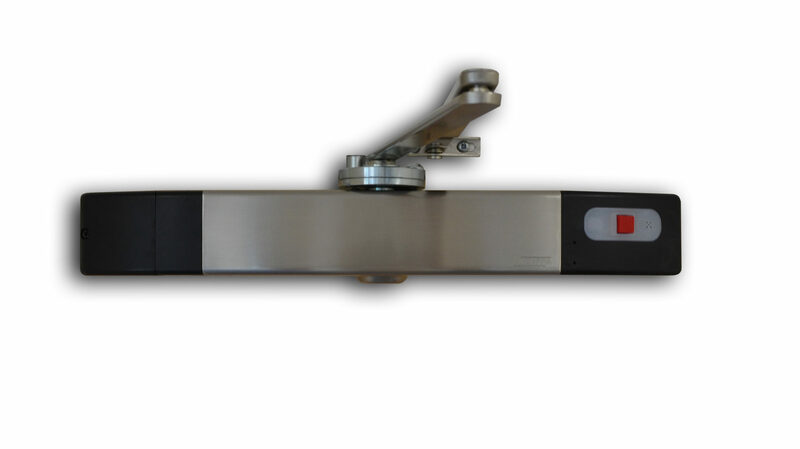 Fire door closers are used as a mechanism to enable fire doors to be held open (often at any angle if ‘free-swing’), to ease access and ventilation, whilst ensuring that they will automatically close in the event of a fire. Fire doors are designed to prevent the spread of smoke and flames should a fire occur, and should not be held open unless an automatic device is installed. Most fire doors will be fitted with a standard door closer which creates a mechanism to allow the door to be opened and closed. This does not hold or automatically close the fire door. Fire door closers are often installed into care homes where residents like their door to be held slightly open to reduce feelings of isolation. Why a fire door closer and not a fire door holder? 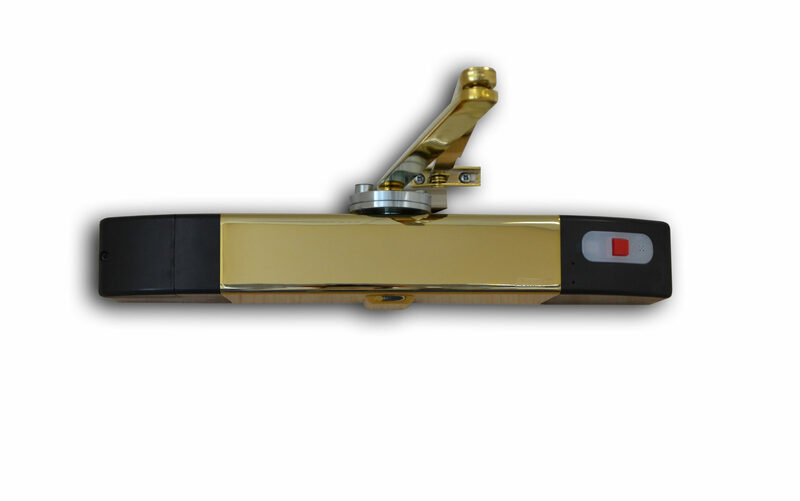 Fitting a fire door closer eliminates the need for a standard closer and a fire door holder. As long as the closer has a ‘free-swing’ mode, it will hold the door open in any position. A fire door closer will also make heavy fire doors feel light and easy to move, where as a fire door holder will not; the door will be held back to the wall, fully opened. 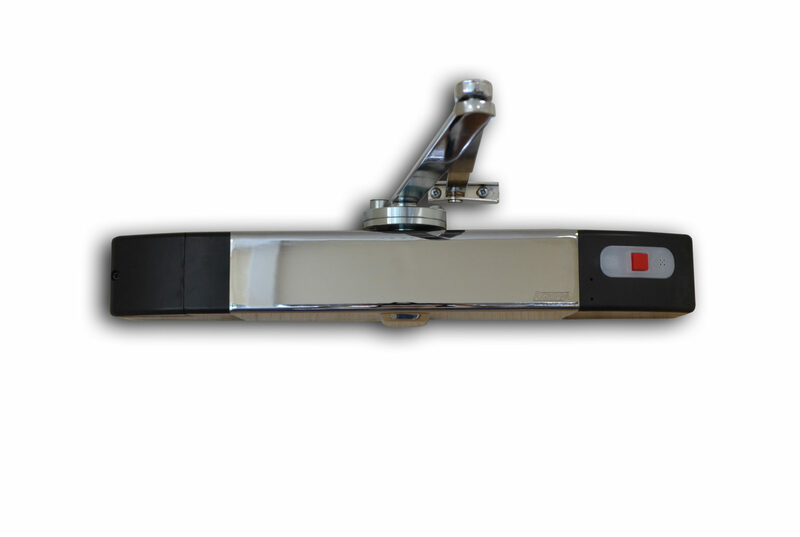 A fire door closer may be more suitable in environments where it is necessary to have the door slightly open or where users find internal fire doors heavy and hard to open. 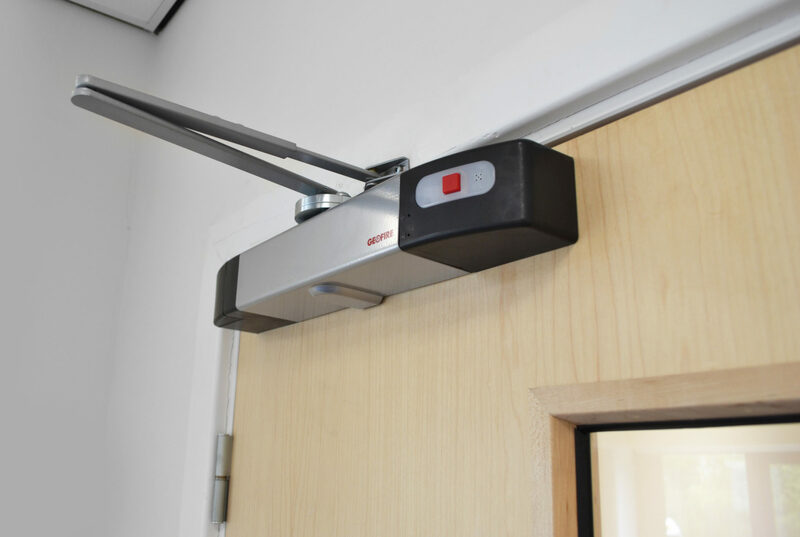 Sound activated fire door closers will automatically close upon hearing the sound of the fire alarm. This protects the building and the people in it by preventing the spread of smoke, flames and toxic gases. 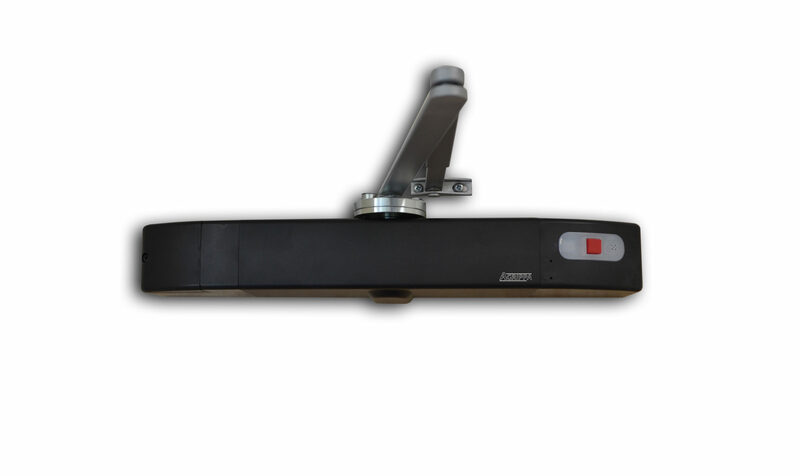 Sound activated door closers are battery powered so installing them won’t affect your building’s infrastructure as they are completely wire-free. 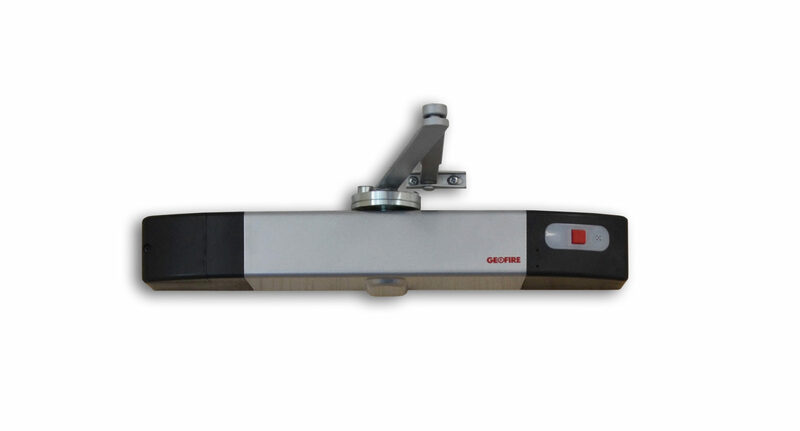 The Agrippa fire door closer makes opening fire doors effortless, whilst ensuring they will close in the event of a fire. Using its patented ‘listen and learn’ technology, the Agrippa closer records the sound of the building’s exact alarm to only release upon hearing this sound.